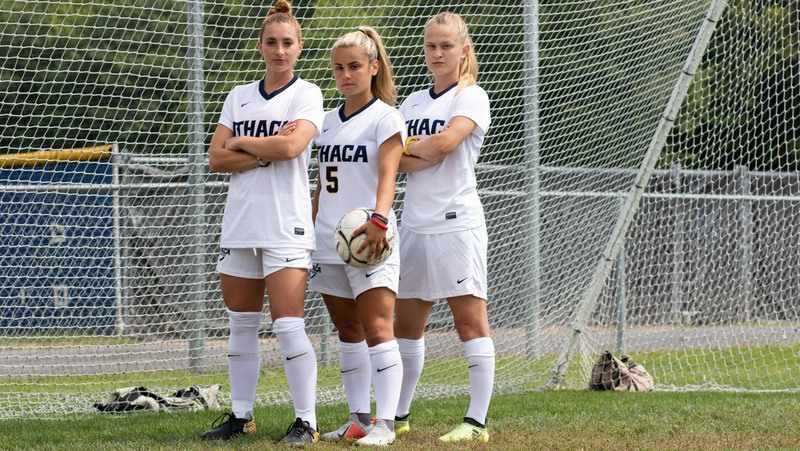 The Ithaca College women’s soccer team defeated rival SUNY Cortland on the road 2–1 Sept. 12. The Bombers started their attack early, having two corner kicks in the opening five minutes. That persistence paid off 15 minutes into play, when junior midfielder Elise Leavitt found the back of the net for her first goal of the season. The South Hill squad was able to hold the one-goal lead over the next 30 minutes and into halftime, but were faced with a role reversal 10 minutes into the second half. Cortland came out firing, getting off three shots to start the frame, resulting in an equalizer goal from senior forward Vanessa Romero in the 61st minute. Less than one minute later, though, the Blue and Gold got the momentum swing they needed after the Cortland barrage. 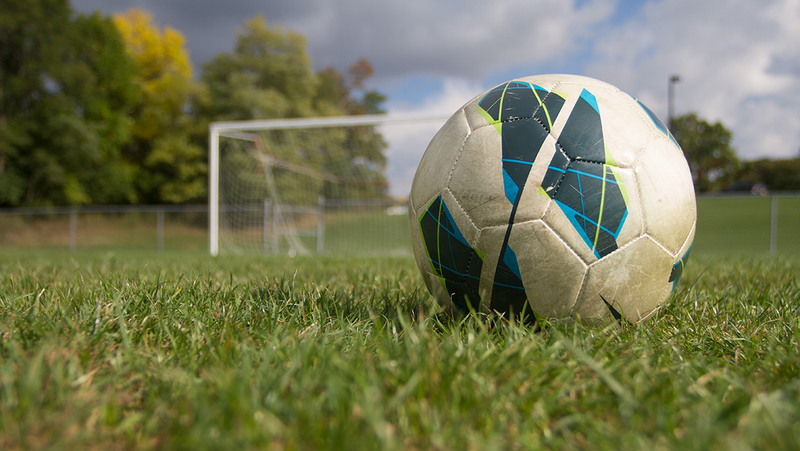 A Bombers corner kick in the 62nd minute bounced around in front of the net, and found its way to junior midfielder Gabriella Mihale, who buried it to put the Blue and Gold back up by one. After regaining the lead, the South Hill squad was faced with another inspired attack from the Red Dragons, facing multiple shots in the final half hour of play. Junior goalkeeper Sara Jakobsze stood tall though, making three of her six saves in the waning moments of the match. The strong play in goal allowed the Bombers to preserve the lead, and come away with the victory. With the win, the Bombers improve to 5–0 on the season, and have outscored their opponents 16–2 during the dominant stretch. They look to stay hot at noon. Sept. 15 at Carp Wood field against Nazareth College.